Winning Resumes Australia is part of the Assured Business Consulting Group and operates Australia wide with offices in two of the fastest growing regions in Australia. The Australian Bureau of Statistics notes that Perth, Western Australia and Darwin in the Northern Territory lead the the country with growth rates of 2.5% and 2.2% respectively. I work online, via Skype and phone internationally. I also conduct personal meetings when I am in your city. Louise is a qualified and experienced HR Management professional, Business Consultant and Resume Writer and is certified by the Australian Human Resources Institute (AHRI). She has held senior positions in State/Territory Government agencies, non-profit organisations, religious institutions and private industry across a range of industries. Louise holds a bachelor degree, several diplomas and is the CEO of Assured Business Consulting and Synergy Professional Coaching. She is our chief writer and coach. Elaine is an experienced and talented HR Manager overseeing all functions of HR for a multi-purpose not-for-profit organisation. 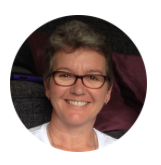 Elaine has extensive experience in the Third Sector and holds certification through the Chartered Institute of Personnel and Development (CIPD) in the UK. Elaine can advise on the UK working context, culture and environment and provides specialist advice and review of resumes for Australians seeking work in the United Kingdom.